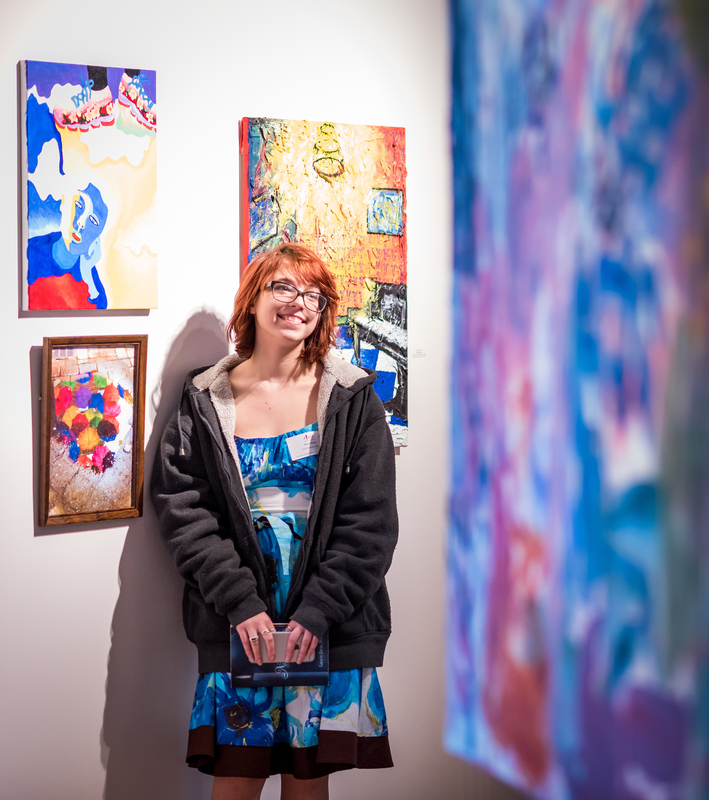 AVA Gallery and Art Center’s 10th Annual Best of the Upper Valley High School Exhibition. AVA Gallery and Art Center is pleased to present an exhibition of works created by Upper Valley high school students who have been nominated for participation by their art teachers. The exhibition, is free and open to the public. A festive award ceremony will take place during the opening reception on Friday, February 15, from 5 to 7pm. AVA contacted a number of regional Vermont and New Hampshire public, private, and vocational high schools, encouraging the art faculty to nominate works by students who show exceptional promise in creative disciplines, including: Ceramics, Drawing, Painting, Photography, Printmaking, Digital Art, Sculpture and Wearable Art. This year’s awards will be chosen by Morgan Freeman, Native American Art Fellow at the Hood Museum of Art in Hanover, NH. AVA has currently received nominations from 13 schools. Participating high schools include: Hanover High School, Hartford High School, Holderness School, Kimball Union Academy, Lebanon High School, Ledyard Charter School, Mascoma Valley Regional High School, Newport High School, Proctor Academy, The Sharon Academy, Stevens High School, Thetford Academy, and Woodstock Union High School.